Every time is the right time to glow! Even out your complexion, enhance your tan or add a touch of sunny color in seconds with our Infinite Bronze Face Bronzer SPF6. The gently tinted, moisturizing cream-gel texture glides on easily and blends invisibly. Lancaster's skin-caring contains UVB and UVA filters and protects against free radicals. Use it alone or as a base for your makeup. 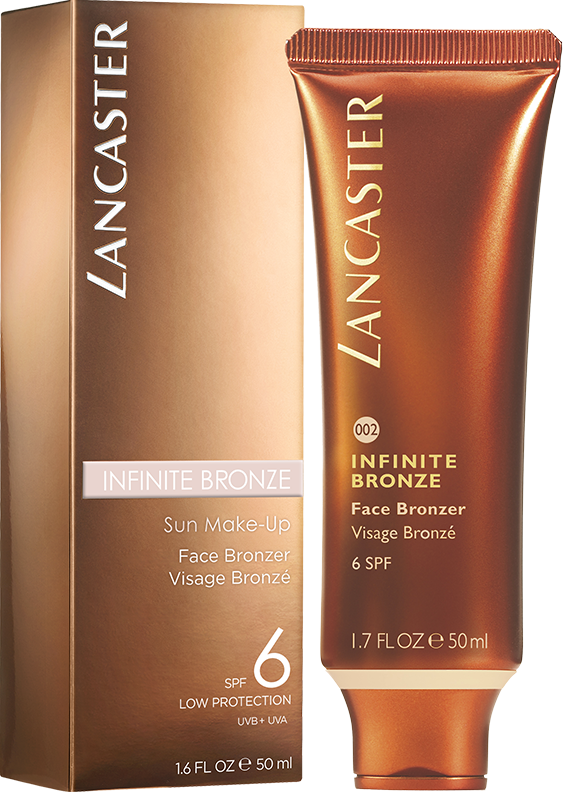 Infinite Bronze Face Bronzer SPF6 gives your complexion an ultra-natural, sun-kissed glow along with UV protection. The feather-weight cream-gel texture spreads easily and evenly. 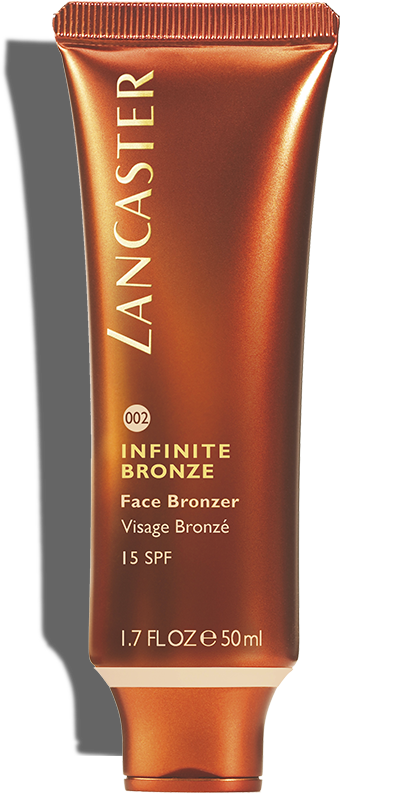 Dot Infinite Bronze Face Bronzer SPF6 all over your face, then blend with circular movements. Or smile, then apply the bronzer to the top of your cheeks and blend towards temples for a natural glow. For the most natural result, don't forget to apply to your neck and décolleté.